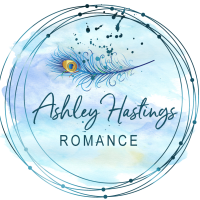 Ashley Hastings latest book is Magic Man. She writes new adult, romantic fiction with a dash of suspense and a liberal sprinkling of humor. A lifelong Southerner, Ashley creates quirky characters in a small-town setting. When she’s not busy plotting her next book, Ashley is collecting cats and planning a future as a crazy cat lady. Ashley’s favorite quote is "If opportunity doesn't knock, build a door," by Milton Berle. She intends to build all the doors.